Criminal Court has extended the remand for Dhangethi MP Ilham Ahmed and South Machangolhi MP Abdulla Sinan by 15 days. 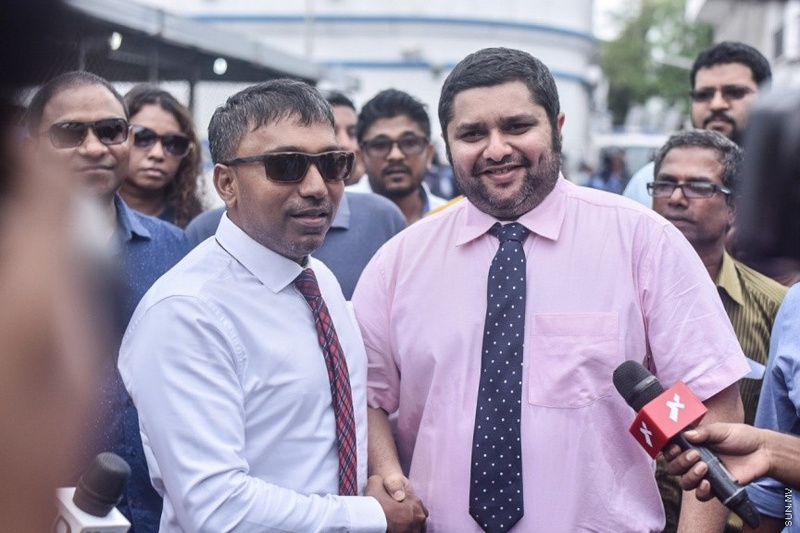 Ilham and Sinan are both under investigation for suspected complicity in an attempt to overthrow President Abdulla Yameen Abdul Gayoom’s administration. The court granted the 15-day extension this Sunday. Ilham surrendered to the police on February 12 after the authority announced him as a person of interest. The police announced Sinan as a person of interest on March 9. He handed himself over to the police the same day. Ilham and Sinan returned to Maldives on February 4, after spending weeks in self-imposed exile abroad. They were arrested upon arrival from the airport, but were released by the Criminal Court when they were presented to the court for their remand hearing the next day. They were re-arrested under the State of Emergency.